Craig Beck is a master hypnotist with 20 years' experience and is also a respected timeline therapist and NLP master practitioner. He understands what makes people tick and, more importantly, how to access and remove the erroneous programs that cause us problems in everyday life. 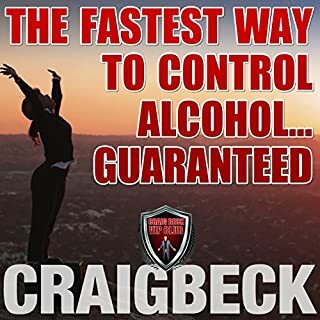 Designed to quickly help you reduce and remove the overpowering desire to drink, use this powerful and proven hypnosis program to help with alcohol addiction. 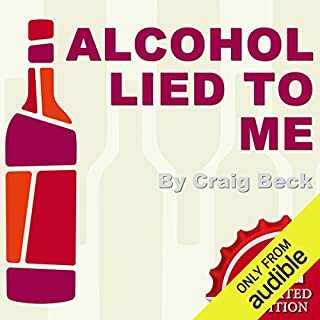 The Craig Beck stop drinking method is unique... No need to declare yourself an alcoholic. A permanent cure, not a lifetime struggle. No group meetings or expensive rehab. No humiliation, no pain and 100% no ‘will power’ required. Craig Beck is a well-regarded family man with two children, a nice home, and a successful media career; a director of several companies and at one time the trustee of a large children’s charity. Outwardly, Craig was a highly successful and functioning professional man in spite of a ‘two-bottles-of-wine-a-night" drinking habit. For 20 years he struggled to control his drinking, all the time refusing to label himself an alcoholic because he didn't believe he met the stereotypical image that the word portrayed. Alcohol kills one person every 10 seconds worldwide, according to the World Health Organization. Thankfully, now, for anyone who feels that alcohol has become a problem - and for the 23.5 million Americans living in recovery and looking to be reinspired - this new program introduces a groundbreaking model for sobriety that you can achieve in your own home. A Key Ingredient for Me! Discover how to kick-start your weight-loss journey, quit bad habits, and break out of self-defeating thought patterns. You may have tried to break a habit in the past using just your own willpower. However, willpower is in the conscious part of the brain. Your habits, however, are deeply seated in the subconscious part of the brain. This is the larger and infinity more powerful part of the brain. Use this hypnosis sessions on a repeat basis, and you will slowly begin to develop powerful, life-affirming habits. I liked this book because it gives you. 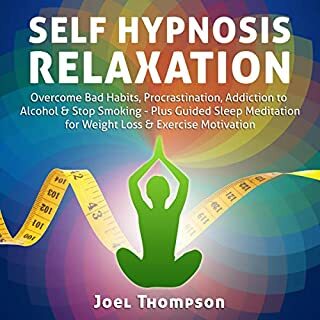 Address your cravings for alcohol and stop drinking with this guided meditation and relaxation program, from certified hypnotherapist, Joel Thielke. It's as easy as turning on the tracks and falling asleep! The Sleep Learning System is specially designed to work with your subconscious mind during your sleep cycle. This Naked Mind offers a new, positive solution. Here, Annie Grace clearly presents the psychological and neurological components of alcohol use based on the latest science and reveals the cultural, social, and industry factors that support alcohol dependence in all of us. 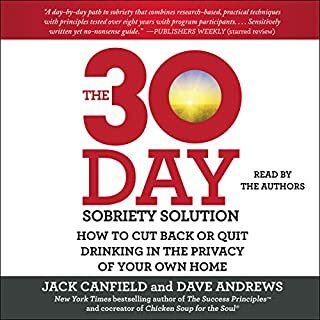 Packed with surprising insight into the reasons we drink, this book will open your eyes to the startling role of alcohol in our culture and how the stigma of alcoholism and recovery keeps people from getting the help they need. Healing the Addicted Brain is a breakthrough work that focuses on treating drug and alcohol addiction as a biological disease - based on the Recovery Science program that has helped thousands of patients defeat their addictions. It combines the best behavioral addiction treatments with the latest scientific research into brain functions, providing tools and strategies designed to overcome the biological factors that cause addictive behavior along with proven treatments and medications. Challenge your thinking, find clarity, and form new habits with a 30-day alcohol-free experiment from the author of This Naked Mind. This Sleep Learning program is designed using multiple therapeutic techniques. In addition to hypnotic techniques and meditative affirmations, this program is further enhanced by the use of brainwave entertainment such as solfeggio tones, isochronic tones, bilateral stimulation, and white noise. Listening at a very low volume is ideal and won't diminish your results. 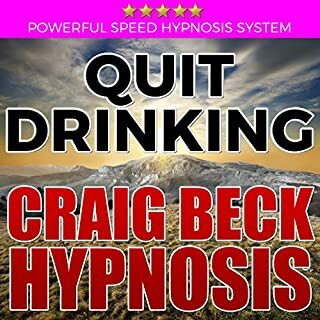 You can stop your cravings for alcohol and start making healthier decisions and stop drinking today with this hypnosis program from world-renowned hypnotherapist Rachael Meddows. I understand how it feels to be worried about your drinking because for nearly 20 years I struggled with my own problem. 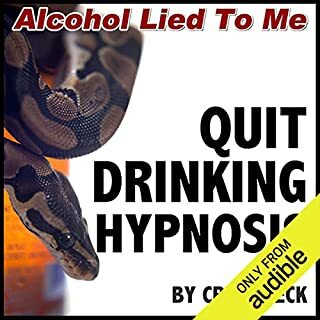 I tried everything to stop drinking alcohol, from creating silly rules about what I was "allowed" to drink to going through torturous "dry months" and taking dangerous prescription-only medication! Absolutely nothing I tried worked until I dramatically changed my thinking. 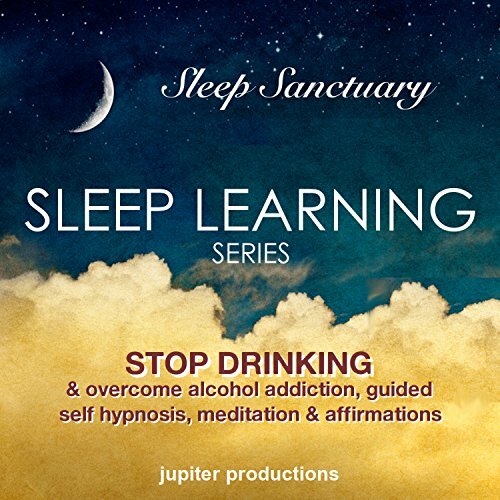 This Stop Drinking program was designed to assist the listener in reducing or eliminating the desire to consume alcohol. It is designed to assist the listener in creating more life-enhancing channels of activity and identifying and dealing with emotions in a positive way. Some say that we are the sum total of what we surround ourselves with. For example, what we choose to watch on television, listen to on the radio, who we choose to surround ourselves with and even the thoughts we think all have an effect on our overall perceptions and thought patterns. Just like the foods that we eat, over time, create our bodies, our thoughts shape who we are, and ultimately what types of situations we manifest in our lives. Sleep learning can benefit a listener in powerful ways. The mind stays active even while we are sleeping. For example a mother may sleep soundly through thunderstorms and barking dogs yet the sounds of her baby stirring in the next room will often awaken her instantly. Why not use this time (while you are asleep) to realize your potential? In addition to therapeutic hypnotic techniques and meditative affirmations, this program is further enhanced by the use of brainwave entrainment such as solfeggio tones, isochronic tones, bilateral stimulation and white noise. Listening at a very low volume is ideal and won't diminish your results. Narrated by Anna Thompson, MA, MHP, LMHC, Advanced Clinical Hypnotherapist. Accomplish your goals and create the life you've always wanted starting today. the closing is completely unnecessary and wakes up the user by Loudly announcing that this is an audible book and the name of the title and auther. put that information in the first chapter so it can be skipped over and doesn't wake up the user at the end defeating the purpose.